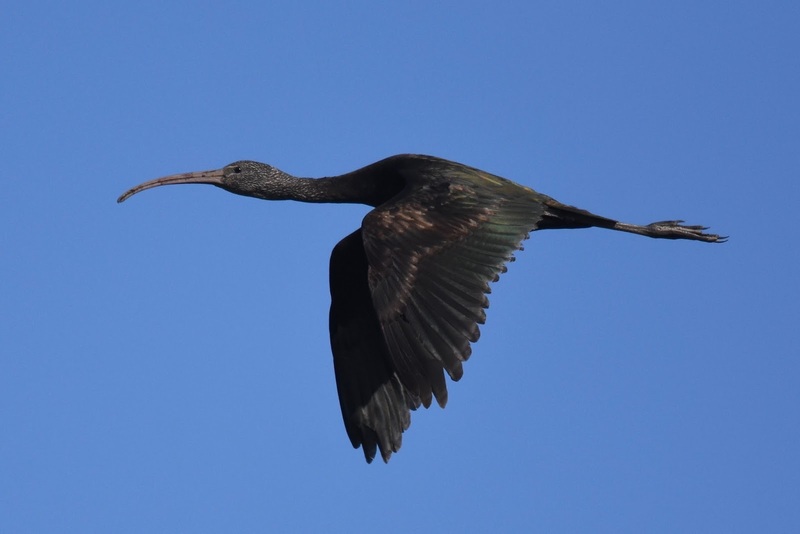 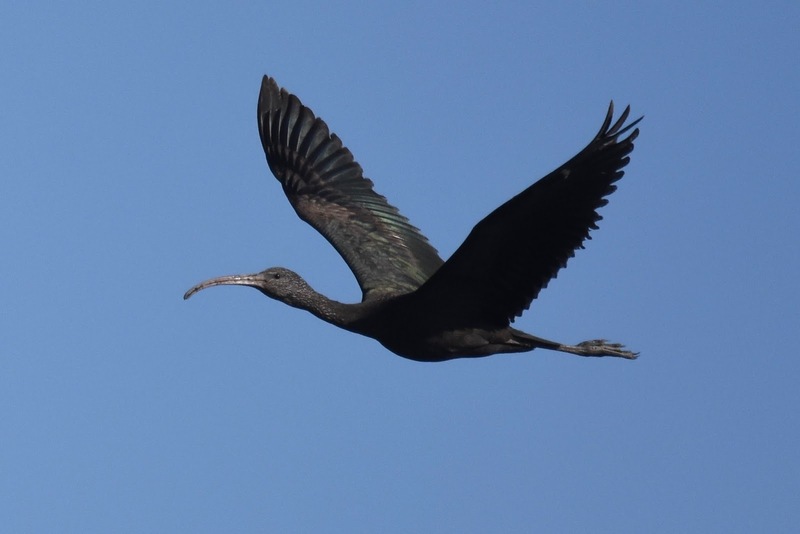 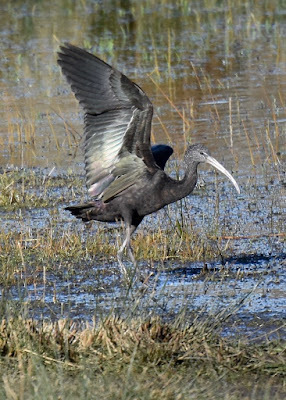 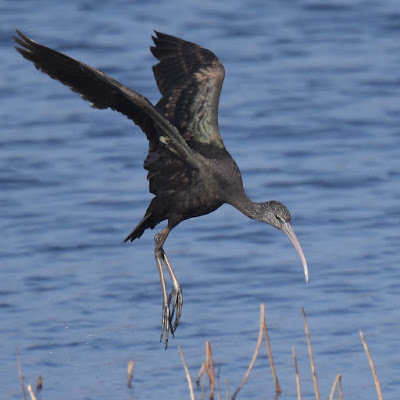 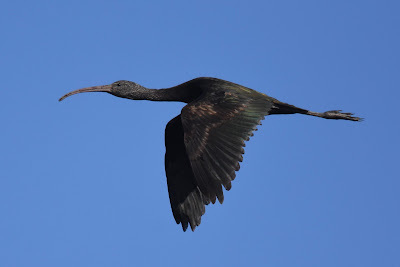 I shall really miss our glossy ibis when it chooses to go. 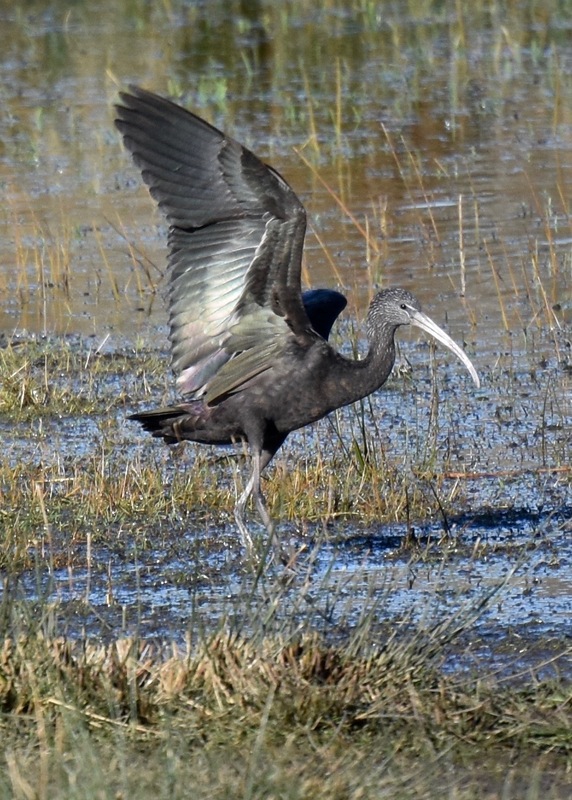 I've become so accustomed to seeing it every time I visit the marshes that it will be strange without it. 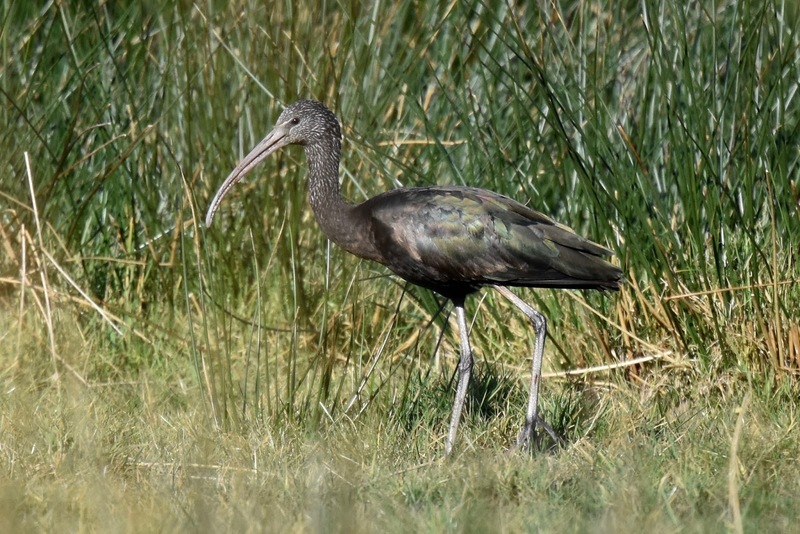 It has been here since October when there was originally 2 and during that time it has changed colour quite dramatically. I have collected rather a lot of pictures over the last 5 months and have been having a sort out over the last few weeks. Having been somewhat overshadowed by the green winged teal that is still present I think it deserves a post to itself for having stayed so long and given us so much entertainment. These last 3 were taken back in October and show how brown it was originally. 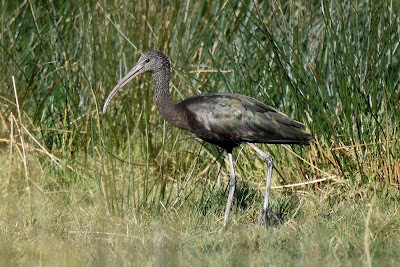 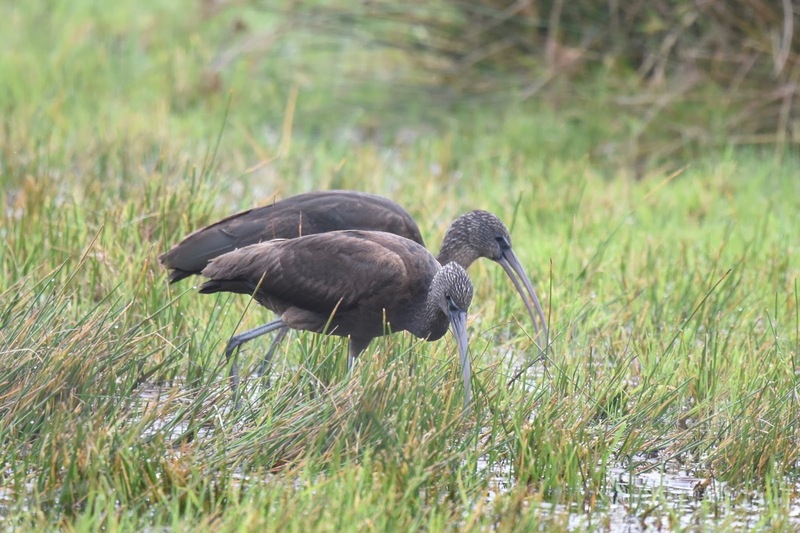 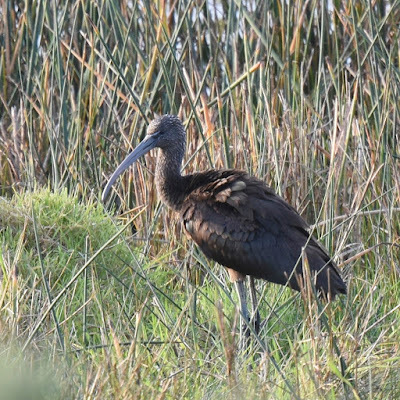 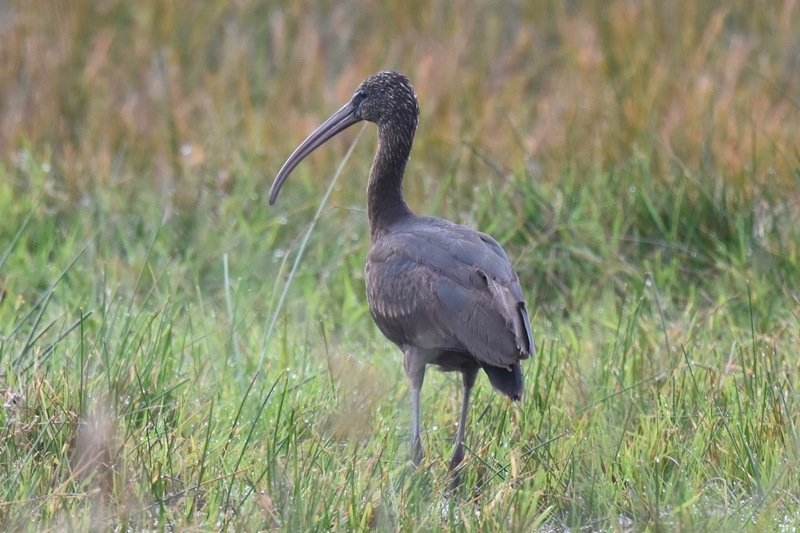 I'm in Seaton for a weeks holiday and was fortunate enough to see the Glossy Ibis on Sheeps Marsh from the 11am tram today. 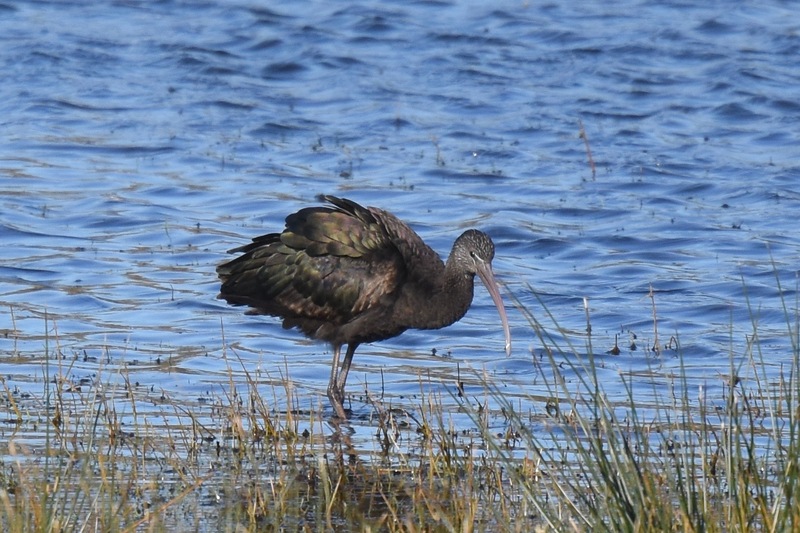 I got to Seaton Marshes about 3pm (in the rain), but was not able to re-locate the bird and had to leave around 5.30 to get back for my tea! 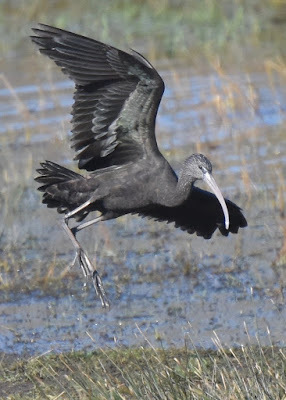 Hopefully I will catch up with it during the week. It was nice to watch three Whimbrel feeding on the river mud from Seaton Marshes Hide.